The photic zone extends from the surface of the ocean to the depth where light is too dim for photosynthesis, on average 200 meters deep. This is similar to the epipelagic zone and sometimes the two are considered equivalent. The epipelagic is further divided into coastal, or neritic, waters located over continental shelves and oceanic waters. The photic zone is home to phytoplankton, zooplankton and nekton. 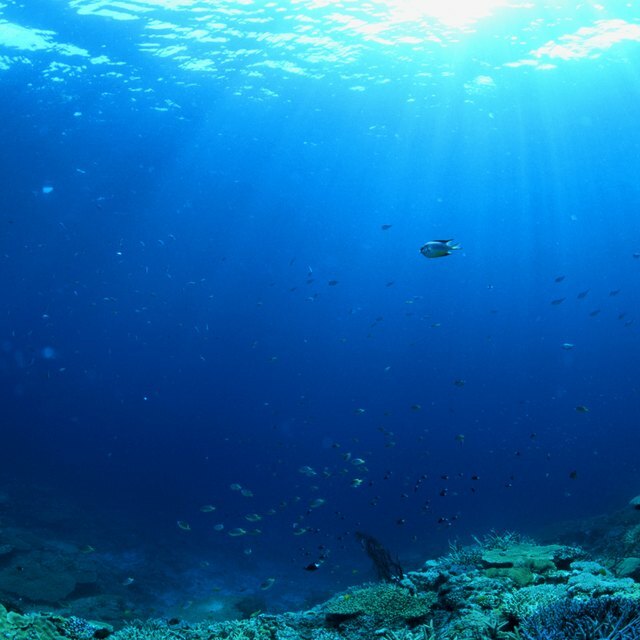 Using photosynthesis, single-celled phytoplankton take up carbon dioxide and give off oxygen. Phytoplankton are abundant in the photic zone, they perform up to 95 percent of all the photosynthesis that occurs in the ocean. Dinoflagellates, diatoms, cyanobacteria, coccolithophorids, cryptomonads and silicoflagellates are the most common phytoplankton. 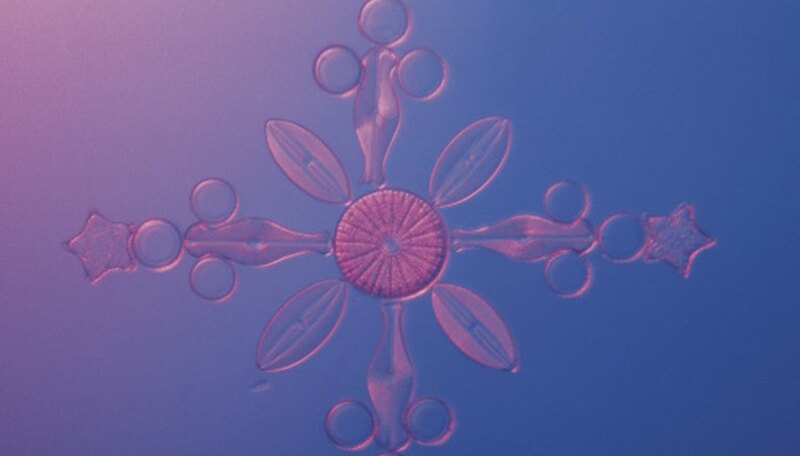 Diatoms have silica shells, which look like microscopic sculptures. They are most common in nutrient-rich temperate zones and polar regions. Dinoflagellates, on the other hand, are much more abundant in warm, tropical waters. They have two flagella, whiplike structures that propel them through the water. When conditions are right, they can be responsible for harmful blooms, such as a red tide. A red tide can be dangerous when dinoflagellates produce toxins that are harmful to humans. These are rare, however, and any red tide that occurs near populated areas is always announced to the public. Cyanobacteria are most abundant in the oceanic zone of the tropics. Since they can convert nitrogen to a usable form, called nitrogen fixation, cyanobacteria are important in nutrient-poor waters. Coccolithophora are the most abundant phytoplankton, they are found in both the neritic and oceanic zones of the epipelagic. Cryptomonads are abundant in coastal waters, but have not been studied in much detail. Temperate and polar silicoflagellates form blooms like the dinoflagellates, but these are generally not harmful. Zooplankton are the consumers in the photic zone. These animals are carnivorous meat eaters, herbivorous plant eaters, or omnivorous. Zooplankton range in size from single-celled protozoans to the huge comb jelly, which has been weighed at up to 5,000 lbs. Protozoan zooplankton include the flagellates, ciliates, foraminiferans and radiolarians. Some protozoans also are able to photosynthesize, so are considered phytoplankton. Copepods are small crustaceans found nearly everywhere in the photic zone. In fact, they might be considered the largest group of animals on the planet. Copepods are mostly herbivorous, feeding on phytoplankton. Krill are a major food source for great whales, fishes and seabirds. Salps, pteropods, larvaceans, arrow worms and cnidarians are also found in the photic zone. Salps are herbivores; they filter phytoplankton with a mucus net. Pteropods are sea snails that swim using "wings," which are actually an adapted foot. Larvaceans float in a "house" of mucus, which also catches floating phytoplankton. Cnidarians, or jellyfish, are radially-symmetrical animals that come in various shapes, but usually have an umbrella and a bell. Arrow worms are zooplankton predators, feeding primarily on copepods. Nekton are the largest and the most obvious animals in the photic zone, but also the least abundant. These are the fishes, marine mammals, worms, sponges, molluscs, sea stars and reptiles. While some of these large animals feed on fish, others, such as the baleen whale, feed on plankton. David Foulds has been writing on media and science topics since 2005. He holds a B.S. in biology from UC Berkeley, an M.A. in media studies and is pursuing a dual master's degree in biology and English. Foulds also has extensive experience in film production and completed a year of medical school. Foulds, David. "What Lives in the Photic Zone?" Sciencing, https://sciencing.com/lives-photic-zone-8235174.html. 25 April 2017.